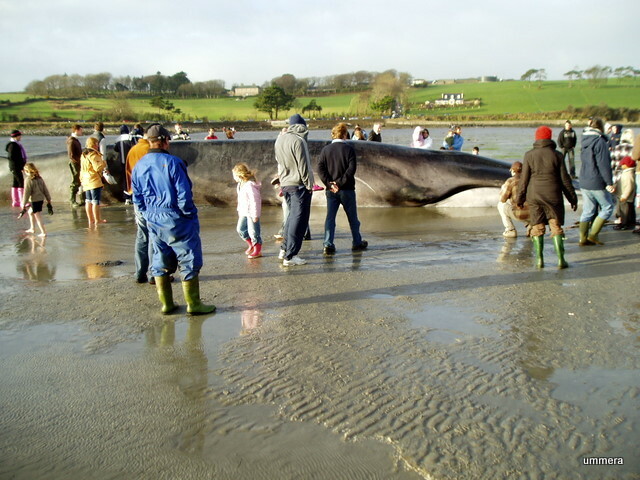 I am not sure why but I was just a bit reluctant to go and look at today’s news story here in West Cork – a fin whale washed up on this morning’s high tide in Courtmacsherry Bay. But they are very special creatures and it would be something awesome for future memories. 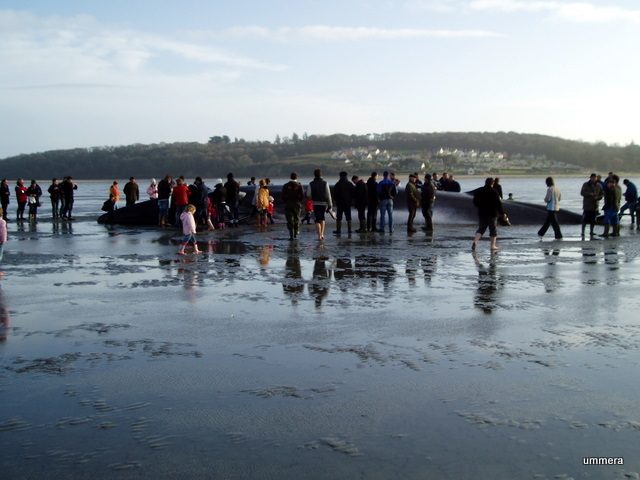 Why the fin whale came into the bay and why he died will be discussed many times over the coming weeks in the houses and bars surrounding the bay, from the Pink Elephant to Courtmacsherry Hotel and all the bars in-between! Next post: New Newsletter and a warning! RTE News at 6pm had some good film coverage. So sad, they’re beautiful creatures. They will have to tow it out to sea now for the birds. Tragic end for such a magnificent creature. I saw it on the first day it was there and it looked so beautiful. By the second day, it was a sorry sight. People had peeled off its skin and children were allowed to climb on it scratching its smooth surface . It had turned into a circus. The sooner it is taken away/buried the better.